Orchid Seed is going to release the Nanako PVC figure from the ero game To Heart 2. This figure is approximately 100mm in height and will be released in April 2011 around 6,476 yen. Nanako looks moe, and I think Orchid Seed did well in creating cute aura about her. 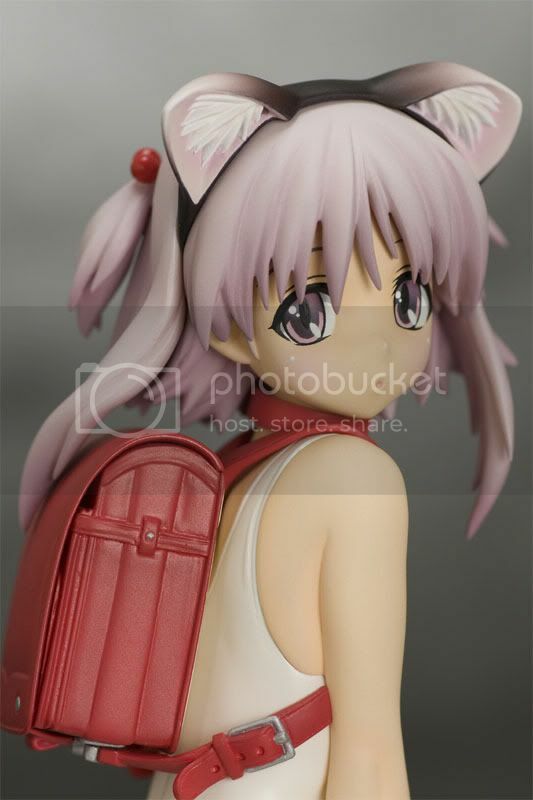 But I'm not that happy if we talk about the detail, it seems that this figure is lacking some painting detail, especially on her backpack.